Why Hire a SEO (Search Engine Optimization) Company? How often do you search Google? The answer is probably more than you think. In 2010, BIA/Kelsey released a study that showed 97% of consumers are using some sort of online media to research local products and services. A survey done by Pew in 2011 indicates that over 92% of people use search engines to find information about products and services on a monthly basis. These statistics make it clear that being found in search engines and in properties around the web is important for a business to reach customers, but just how important is it to show up on top in search engines? The results of a 2014 study by Advanced Web Rankings indicate that the five top organic search results receive over 65% of all clicks. In a 2012 study by Compete.com researchers found that 53% of Internet users click on the first unpaid result on the page. With the Internet at their fingertips, most people use search engines such as Google, Bing and Yahoo! for information about products and services on a daily basis. Where do you show up in search results when someone searches for what your company offers? If you aren’t on the first page of results, it’s likely that you are missing out on a ton of business. If your business is not in the top three search engine results, your competitors are getting most of the attention. Search engine optimization (SEO) is the process by which a business moves their website to the top of search engine results when searches related to their business are performed. Factors that affect a website’s placement include content, links from outside websites, social media presence, website speed, mobile compatibility of the site and much, much more. A well-optimized website should show up at the top of search results when the search is relevant, but many website owners don’t know the first thing about search engine optimization, let alone what search engines are looking for. 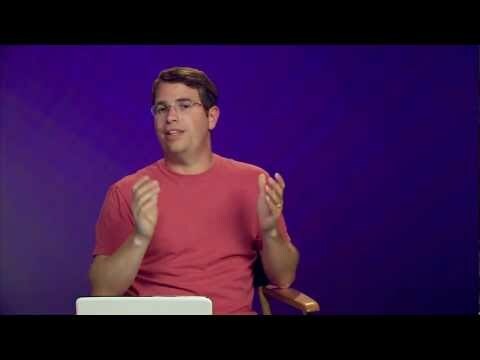 Watch the video below to see what Matt Cutts, the lead search engineer at Google, has to say about Search Engine Optimizers. Proximo Marketing Strategies is a leading Virginia SEO company. We provide professional search engine optimization services to help clients across the United States show up on top of search engines. If you still aren’t quite sure how being number one in search results can help your business, it’s time for a sit down with our SEO experts. We’ll show you just how important search engine optimization is and what you need to do to show up above your competition. Ask us for a free Search Engine Optimization consultation. We promise it’s 100% free and, if nothing else, you’ll walk away with a few nuggets that you can put to work for your own website. Proximo Marketing Strategies is a digital marketing agency specializing in web strategy and search engine optimization in Virginia. We serve clients in Virginia and across the United States. If it’s time for a change in your business, the Internet can deliver what you’re looking for. When you enlist Proximo Marketing Strategies as your partner, you’ll gain our knowledge, experience and insights into search engine optimization, social media, email marketing and website design strategies that actually deliver results that drive your business’s growth.